2. Select request a username (below the login box). 3. 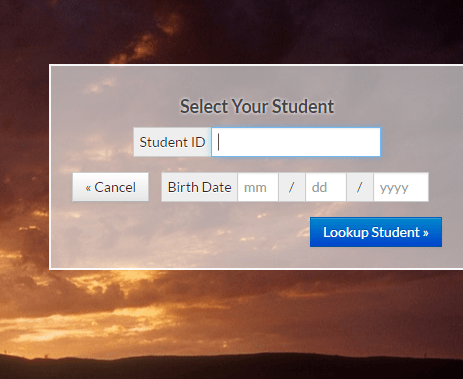 Enter your student’s number and birthdate and select lookup student. 4. Check the box next to your name. If your name is not listed contact the school secretary. 5. Create a username and password for your account. Passwords must be 8 characters and contain both letters and numbers or special characters. 6. Check the box to verify that this is your student. You will then return to the login screen and login using your new username and password. 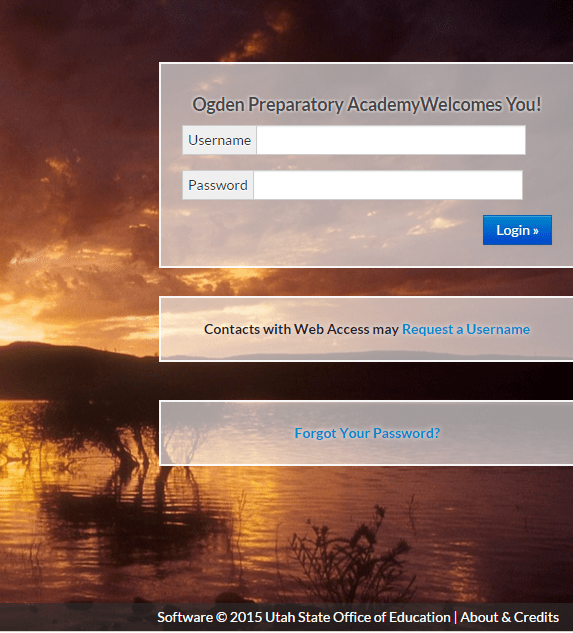 School personnel cannot view your password information. If you forget your password, choose “Forget Your Password?” from the login screen and follow the instructions. If you do not have email, a school secretary can assist y ou. Verify that all information is correct. Check the box at the bottom of the screen that you have verified the information. Personal information can be changed as needed at any time. After verification of the information, you will be at the home screen where you can view demographic information and assessment scores for your student. Student’s schedules and access to teachers’ emails will also be available here. Choose the link on the right side of the screen under the assessment scores. You can choose English or Spanish (at the top of the screen). The first page is a list of frequently asked questions and answers. Choose “Apply now for free or reduced benefits” at the bottom of the screen. Fill out the application and submit.